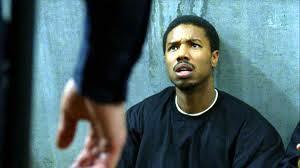 Fruitvale Station opens Friday in Arlington. Grown Ups 2 (PG-13) Adam Sandler, Kevin James, Chris Rock, Rob Schneider, and David Spade reunite for this sequel. Also with Salma Hayek, Maya Rudolph, Maria Bello, Steve Buscemi, Nick Swardson, Colin Quinn, Tim Meadows, Jon Lovitz, Allen Covert, Milo Ventimiglia, Shaquille O’Neal, Andy Samberg, Jorma Taccone, Bobby Moynihan, Taran Killam, Akiva Schaffer, Paul Brittain, and uncredited cameos by Will Forte and Taylor Lautner. The Lone Ranger (PG-13) The summer’s most fascinating bad movie revives the characters as an unbalanced Comanche warrior (Johnny Depp) and a lawyer-turned-masked lawman (Armie Hammer) who team up to bring down an outlaw (William Fichtner) in post-Civil War Texas. The movie wants to be a rip-snorting Western adventure yarn while also acknowledging the genocide of Native Americans upon which our nation’s prosperity was founded. Unfortunately, director Gore Verbinski isn’t nearly up to the task. He gets the tone all wrong, with the serious material jarring with the director’s penchant for silly gags and acid-trippy interludes. Despite some Buster Keaton-like hijinks in the finale, the movie spills its ideas willy-nilly. Also with Tom Wilkinson, Helena Bonham Carter, Ruth Wilson, James Badge Dale, Bryant Prince, Saginaw Grant, Stephen Root, and Barry Pepper. Man of Steel (PG-13) Zack Snyder doesn’t succeed in making Superman interesting, but he does succeed in making this familiar story feel rough, strange, and new. Henry Cavill plays the refugee from the planet Krypton who gradually discovers his superpowers while hiding them from the world. Snyder’s nonsequential storytelling invigorates this movie for the first hour or so, but he does a poor job of introducing the characters. The destruction visited on Metropolis is cohesively managed, but because he hasn’t set up what the city is like, the climax has no resonance. The movie opens some promising avenues for the future (and it’s way better than Superman Returns), but it still leaves lots of room for improvement. 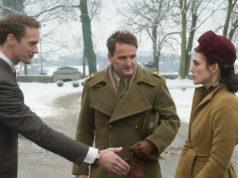 Also with Amy Adams, Michael Shannon, Russell Crowe, Kevin Costner, Diane Lane, Ayelet Zurer, Antje Traue, Harry Lennix, Richard Schiff, Christopher Meloni, and Laurence Fishburne. Monsters University (PG) The best Pixar movie since Toy Story 3 and one of the better movies about college ever made. Billy Crystal and John Goodman reunite for this prequel that follows Mike and Sulley through their freshman year at college, as they take an instant dislike to each other, run afoul of a hardass dean (voiced by Helen Mirren), and have to win a school-wide scaring challenge to get back in their major program. The comedy is gratifyingly back on point here, especially when Mike and Sulley are forced to join a rinky-dink frat full of outcasts. However, the story also takes some surprising twists that give further layers to these familiar characters. It’s so good to have the Pixar of old back. 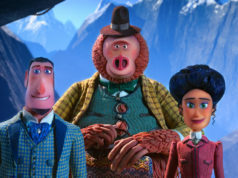 Additional voices by Steve Buscemi, Peter Sohn, Joel Murray, Sean Hayes, Dave Foley, Charlie Day, Alfred Molina, Nathan Fillion, Tyler Labine, Aubrey Plaza, Bobby Moynihan, Julia Sweeney, Bonnie Hunt, John Krasinski, Bill Hader, Beth Behrs, and John Ratzenberger. Now You See Me (PG-13) A much better movie about magicians than The Incredible Burt Wonderstone. Of all directors, Louis Leterrier (The Incredible Hulk, Clash of the Titans) pulls off this neat little bit of sleight-of-hand starring Jesse Eisenberg, Isla Fisher, Dave Franco, and Woody Harrelson as four stage magicians who execute a series of Robin Hood-like robberies of scummy rich people while being chased by a hapless FBI agent (Mark Ruffalo). Not everything here hangs together, but the actors are well-cast in their roles. Both they and the filmmaker seem to be having fun, and you may very well share in that sentiment. Also with Morgan Freeman, Mélanie Laurent, Michael Kelly, Common, and Michael Caine. Pacific Rim (PG-13) Guillermo Del Toro (Hellboy, Pan’s Labyrinth) directs this science-fiction thriller about a group of humans who build giant robots to battle alien invaders. Starring Charlie Hunnam, Idris Elba, Charlie Day, Rinko Kikuchi, Clifton Collins Jr., Robert Maillet, Robert Kazinsky, Heather Doerksen, and Ron Perlman. This Is the End (R) Uproarious. Seth Rogen, James Franco, Jonah Hill, Jay Baruchel, Craig Robinson, and Danny McBride all portray themselves as self-absorbed weenies who hole up in Franco’s Hollywood mansion when the apocalypse as described in the Book of Revelation starts to happen. While trying to survive, the boys rag on one another’s career missteps and film a no-budget sequel to Pineapple Express, but they’re all strongly characterized enough that you’ll laugh a lot even if you don’t know who the stars are. Co-directors Rogen and Evan Goldberg toggle nicely between the indoor hijinks and the effects-heavy depiction of the end of days. Also parodying themselves are Emma Watson as a crazed, ax-swinging survivalist and Michael Cera as a disgusting sexist cokehead who meets a satisfyingly hideous death. It’s a bracing return to form for Rogen and company. Also with Mindy Kaling, David Krumholtz, Christopher Mintz-Plasse, Rihanna, Martin Starr, Paul Rudd, Aziz Ansari, Kevin Hart, Channing Tatum, and an uncredited Jason Segel. White House Down (PG-13) Bleah! This moronic thriller stars Channing Tatum as a war hero-turned-bodyguard who has to rescue the president (Jamie Foxx) when domestic terrorists take over the White House. You expect a movie like this to pander to patriotism in the basest way possible, but the takeover of the White House is amateurish in the extreme, and there’s a truly unbearable subplot with the hero’s young daughter (Joey King) also being trapped in the White House. As usual, Roland Emmerich directs this like he just suffered a Grade II concussion, and this movie will make you feel like you just had one. Also with Maggie Gyllenhaal, Jason Clarke, Richard Jenkins, Nicolas Wright, Jimmi Simpson, Michael Murphy, Rachelle Lefevre, Matt Craven, Garcelle Beauvais, and James Woods. World War Z (PG-13) Given this movie’s troubled production history, it’s somewhat miraculous that it comes out as well as it does. Brad Pitt stars in this extremely loose adaptation of Max Brooks’ novel as a U.N. investigator who has to fly all over the globe to figure out how to stop a worldwide zombie pandemic. Director Marc Forster (Quantum of Solace) and the writers imagine the plague as a fast-acting bug that takes 12 seconds to turn people into a seething wave of ex-humanity that swarms like insects. The small-scale ending doesn’t jive with everything else, but it’s remarkable in its own way. Like its zombie threat, this movie is stupid, but it moves quickly. Also with Mireille Enos, Daniella Kertesz, James Badge Dale, Fana Mokoena, Ludi Boeken, David Morse, Peter Capaldi, Pierfrancesco Favino, Moritz Bleibtreu, and Matthew Fox. The Attack (R) Ziad Doueiri’s drama stars Ali Suliman as a prosperous Arab doctor in Tel Aviv who searches for answers after his wife (Reymond Amsalem) carries out a suicide bombing. Also with Evgenia Dodena, Dvir Benedek, Uri Gavriel, and Karim Saleh. Much Ado About Nothing (PG-13) Joss Whedon (The Avengers) directs this low-budget, modern-dress, black-and-white adaptation of Shakespeare’s comedy about two ex-lovers (Alexis Denisof and Amy Acker) who engage in a war of wits while falling back in love. Also with Clark Gregg, Reed Diamond, Fran Kranz, Jillian Morgese, Sean Maher, Spencer Treat Clark, Riki Lindhome, Ashley Johnson, Tom Lenk, and Nathan Fillion. 20 Feet From Stardom (PG-13) Morgan Neville’s documentary profiles five women (Merry Clayton, Judith Hill, Claudia Lennear, Lisa Fischer, and Tatá Vega) who have spent their careers as backup singers in the music industry. Also with Chris Botti, Sheryl Crow, Mick Jagger, Gloria Jones, Darlene Love, Bette Midler, Bruce Springsteen, Sting, and Stevie Wonder. Unfinished Song (PG-13) Terence Stamp stars in this comedy as a grumpy old Englishman whose wife (Vanessa Redgrave) persuades him to join an unconventional local choir. Also with Gemma Arterton, Christopher Eccleston, Barry Martin, Elizabeth Counsell, and Anne Reid.